Hi I'll be surprised if you remember me 'cause I don't. please bear in mind I have played through the entirety of the triple D yet so ignore my incidence. Lets cut straight to the point. The seventh apprentice, Luxu. Tasked with the mission to effectively make the book of prophecies. he must observe his colleagues from afar, and then journey off when all is done. Only holding a black box, and keyblade with an eye in it. But where did he come from, and more importantly, where did he go, and where did he come from, cotton eye joe? Well, what if i told you the eye is still around today, passed into a certain keyblade, weilded by a certain warrior, given by a certain cloaked man. What if I told you. Due to my limited lack of knowledge of the fandom and KH DD, this may have already been explained, in that case, I've made a right fool of myself. But I wanted to share this, because it really got me intrigued, and the hooded man, Xeanhort, or Ansem or whoever, had it before then. Just something interesting I found. Uh, yeah, the eye is still around, so is the Keybladeâ€¦ it's featured in BBS and DDD and is wielded by Master Xehanort. Unless I completely misunderstood your point? It's still strange the eye of the master is in Riku's Keyblade, too, though. I don't know if Ansem or Maleficent gave him the blade, but it'd make sense either way. 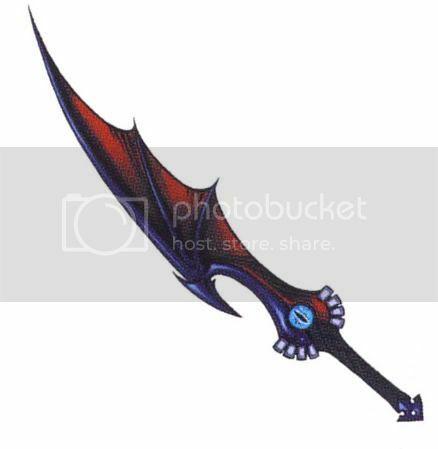 Something I have to point out, though, is that, while this theory could very likely be true, this blade also existed at the same time as Xehanort's regular keyblade, so for this keyblade to be seeing things it must mean that the other 11 documented keyblades with this eye must also have part of the Master's eye. If it is... then that'd actually be pretty clever. Only time will tell until we find out what this means.